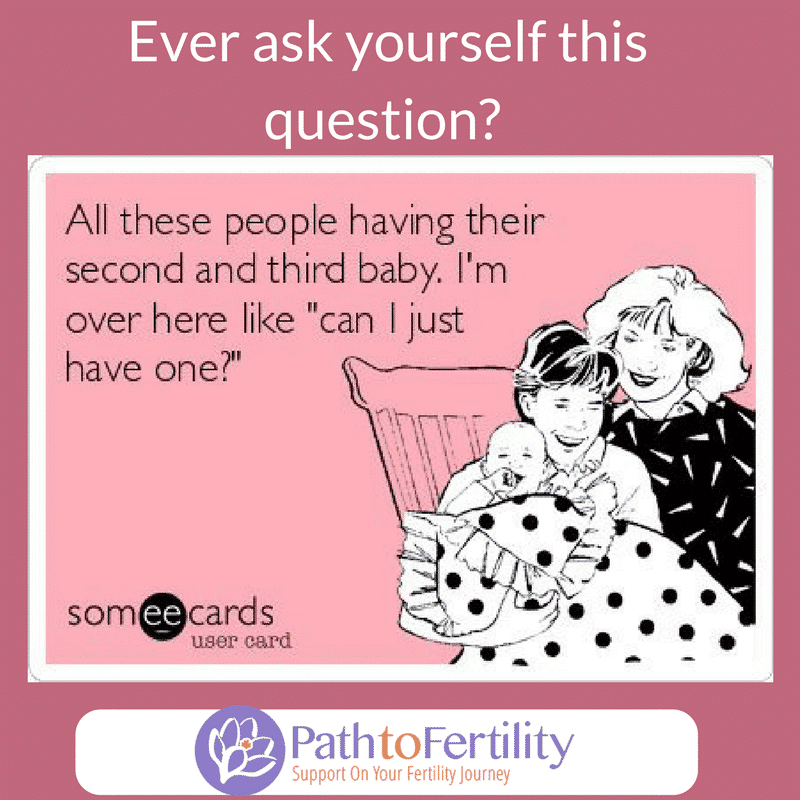 Effing Funny Fertile Friday- What Makes You Laugh? What tickles your sense of humor when everything kind of stinks? Anything? 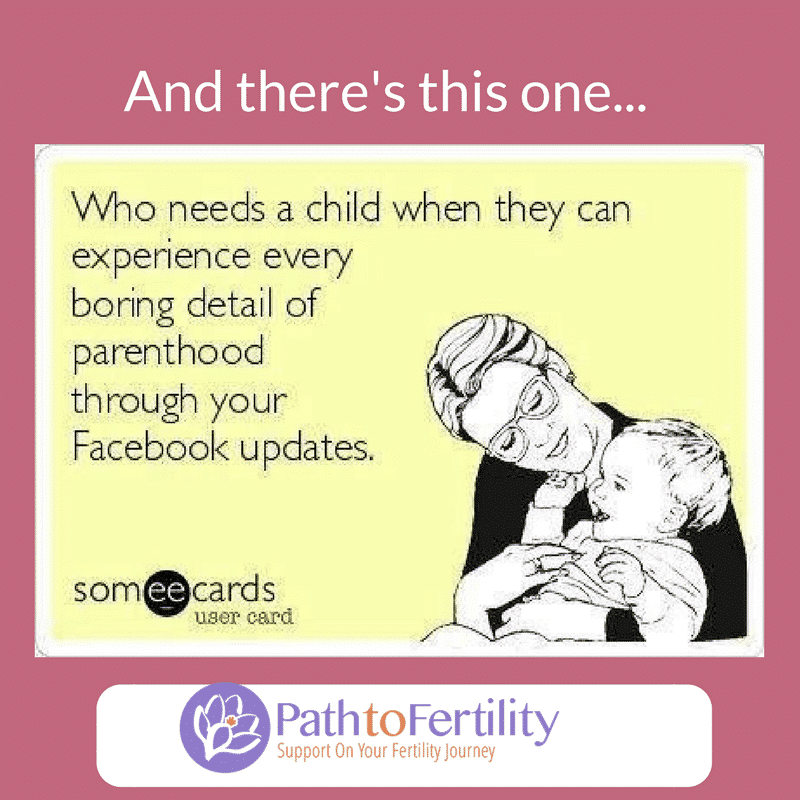 Is there a type of humor that you particularly like when the infertility doldrums hit you? 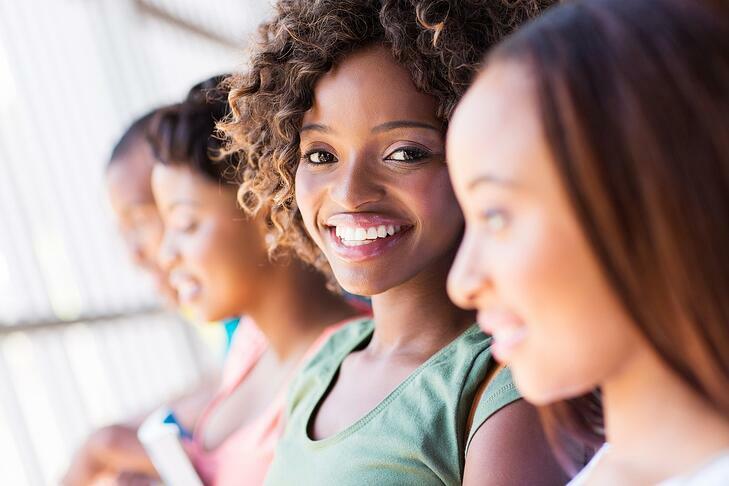 Here are a few things that might make you smile. Or laugh. Or laugh until you cry. Remember a good laugh- it's the best revenge. Here's another we hear a lot! 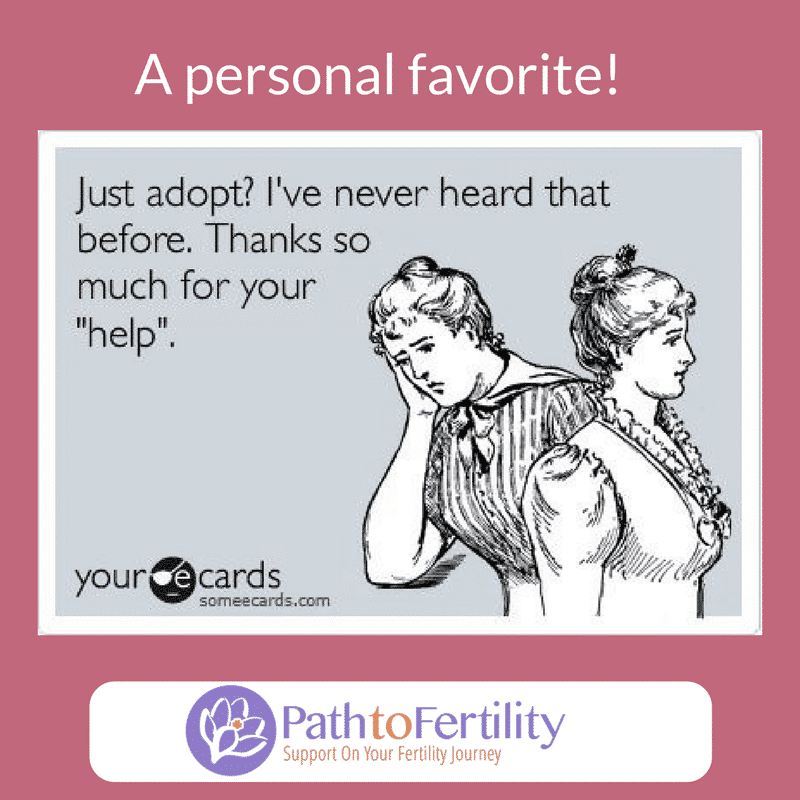 And finally, yep, they bring up adoption. Yes, because they just can't resist. Here's to a good laugh today.